Location: Belturbet, County Cavan, Ireland. Ownership / Access: Castle Saunderson International Scouting Centre. Notes: Castle Saunderson International Scouting Centre is an international Scouting Scout centre near Belturbet, County Cavan, Ireland, opened in 2012. It is located on the grounds of the castle, the family seat of the Saunderson family. The centre provides indoor accommodation and campsites covering 34 acres of land. It is open to Scouts year round, as well as to non-Scouts for most of the year. 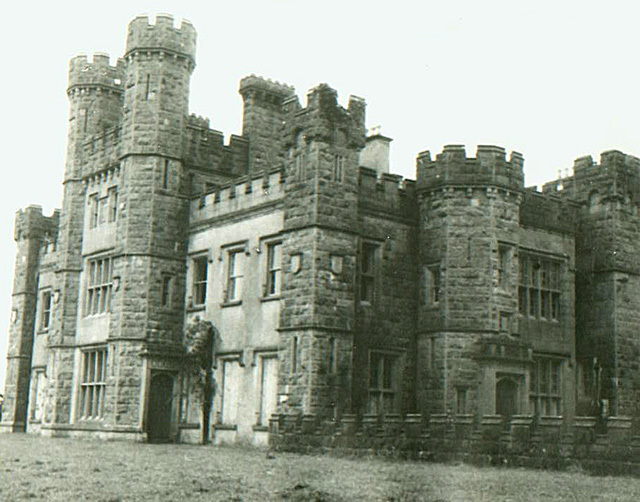 In 1997 the castle and its grounds were acquired by Scouting Ireland (CSI). The subsequent formation of Scouting Ireland and financial difficulties had delayed its development, and put the campsite project in doubt. With support from the American Ireland Fund and Cavan County Council, substantial progress occurred with the announcement in November 2008 of EU funding for the project, amounting to over €3 million. Michael D Higgins, President of Ireland, opened the €3.7 million European-funded Castle Saunderson International Scouting Centre in Cavan on 18 August 2012. The President was joined by dignitaries from both sides of the Border, including Northern Ireland Executive Ministers Jonathan Bell, Nelson McCausland and Jennifer McCann and Minister of State in the Republic Fergus O'Dowd. The Saunderson Castle estate (currently only 103 acres) has an entrance in both Northern Ireland and the Republic of Ireland. These grounds include a church and family grave yard. In February 2015, Minister Heather Humphreys announced the approval of the restoration by Waterways Ireland of the Canal, connecting the site to the Erne basin.